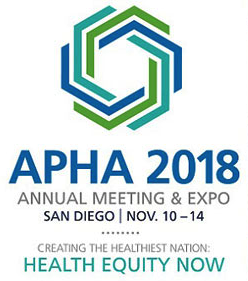 Planning on going to the APHA Annual Meeting & Expo this year? Many PHM-NA activists and affiliated organizations will be at this year’s Meeting shining a bright light on issues of health and human rights. We will be discussing a wide range of topics from a right to health perspective, including women’s health, militarism, and immigration policy. And from local movements to global actions and advocacy, we aim to show how people across the globe are organizing and developing tools to achieve Health for All. Join Hesperian and other PHM friends for wine and cheese and to purchase your copy of Global Health Watch 5! Join Hesperian for wine and cheese and purchase and learn more about their Spanish language resources. 4166.0: Health, Health Equity, and War: What is Happening in Yemen, Mexico, Syria and Gaza?